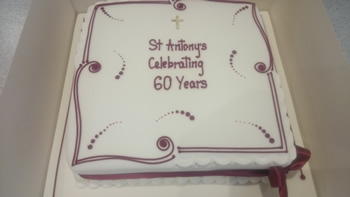 On Sunday 17 September we celebrated St Antony’s Diamond Jubilee with a Eucharist service. 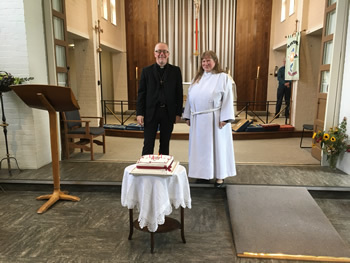 The Rt Rev'd Jonathan Clark, The Bishop of Croydon, led the celebration and we were joined by the Rt Rev'd Dr David Atkinson, the Rev'd Jeremy Groombridge, former church members, guests and friends from around the parish. 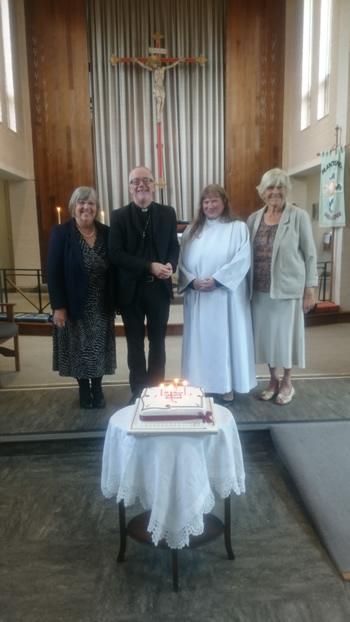 Following the service we enjoyed the anniversary cake and also marked the 55th anniversary of the Women’s Social Group who are active supporters of the church.